DO YOU WANT FRIES WITH YOUR HELLFIRE? The Hero and her angelic mother may no longer be at each other's throats, but that doesn't mean Emi and Laila are suddenly getting along. The whole situation is a pain for Maou, especially with Laila constantly pestering him for help, claiming the fate of an entire planet is at stake! When the Devil King finally decides (for Emi's sake) to lend a hand, Chiho can't help feeling a bit jealous, and she is plagued by the fear that her friends might return to Ente Isla, leaving her behind. 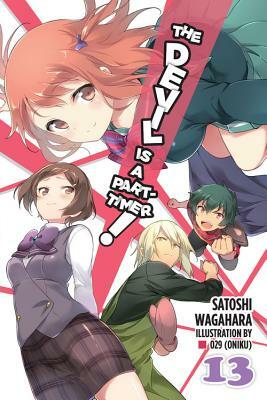 As Chiho wrestles with her emotional demons, Rika-fresh off an explosive date with Ashiya-wants to gossip about a totally different sort of demon!